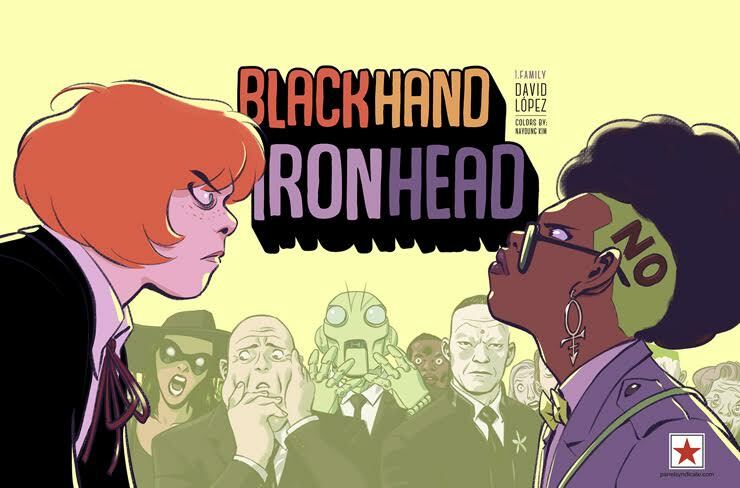 Available now from the independent digital comic book publisher, Panel Syndicate, is a wonderful new comedy by David Lopez entitled "Blackhand Ironhead." Created by Brian K. Vaughan (Saga) and Marcos Martin (Daredevil), the DRM-free digital comic site brings comics directly from creators to readers is asking you to "name your price" for this latest series. Check out the synopsis below and then CLICK HERE to get your immediate download of the 39-page comic in your choice of PDF, CBR or CBZ. Available in English and Spanish. Today's the day! PanelSyndicate is proud to announce our newest series BLACKHAND IRONHEAD by David López, artist of books like ALL-NEW WOLVERINE, CAPTAIN MARVEL, X-MEN or CATWOMAN! A comedy about family, with superheroes, not about superheroes available at panelsyndicate.com. Name your price and show David your love!